SmartPatrol is a portable GSM enabled security and monitoring system which can be quickly deployed. It accepts a wide variety of sensor technologies (range upto 100m and upto 60 wire free sensors) plus 8 wired in sensors. 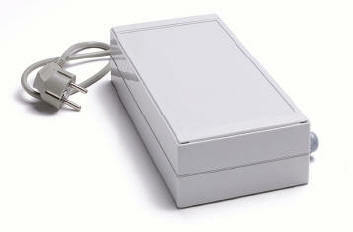 The Control Box is pre-programmed to give each wire-free rfid sensor or tag a name and group them into 8 zones. 8 output relays correspond to each zone. In addition other communication is available using the GSM modem. In alarm the system can call a particular number or send SMS text messages. (It can even communicate via pager systems). Once programmed, SmartPatrol system operates stand alone. After an alarm it can auto reset. 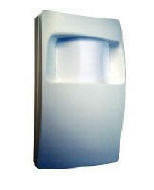 It can be pre-programmed remotely as well as having the facility to switch the output relays on/off remotely. Extend the range using the SmartPatrol repeater unit. Support the on site patrols on a large building site. Communicating any alarm signals directly to the guards. Provide security to a car showroom (especially with vehicles on the forecourt). Any break-in into one of the cars would be communicated directly to a monitoring station. (Remote) monitoring of a CCTV system use SmartPatrol to trigger camera presets. Used at prestigious garden show to protect bonsai display. The detector most frequently used (seismic) is a little “teardrop” measuring 79 x 39 x 9 mm (W, L,H). The detector is battery driven (life upto five years). It is easy to install. It can be placed behind the frame of door, window, on a vehicle or somewhere it would be hidden from sight. If the object is touched or moved, the detector will send a wireless signal to the control unit. The system is extremely flexible. Once the Control Box is installed, the “boxes” can be moved around as one wishes. The system is self contained and once set up from an ordinary PC (either using the serial port or remotely using SMS messages through a mobile phone or GSM calls with DTMF tones) or emails plus control of the 8 output relays runs continuously. A simple software interface on a PC offers the possibility for setting up the entire system, including each detector. Then the PC can be moved away and the system runs on its own. The control box contains its own aerial to receive signals from the detectors. As an option it can also contain a GSM modem and aerial. Price: SmartPatrol systems need to be quoted for as individual systems. Prices start from around GBP1,500 plus VAT. Control Box: Connect the control box to a 12v power source. Mount the control box by screwing it to the wall. It should be mounted vertically, with a height of minimum 2 m. The higher it is placed, the longer range to the detectors/sensors. Make sure that the unit is not hidden behind metal or re-enforced concrete, as this reduces dramatically the distance. The control box should be placed equal distance between the furthest sensors. If the receiving conditions are not good enough, then it could be necessary to place a second receiving box in the room. Contact Euronova for details on programming. 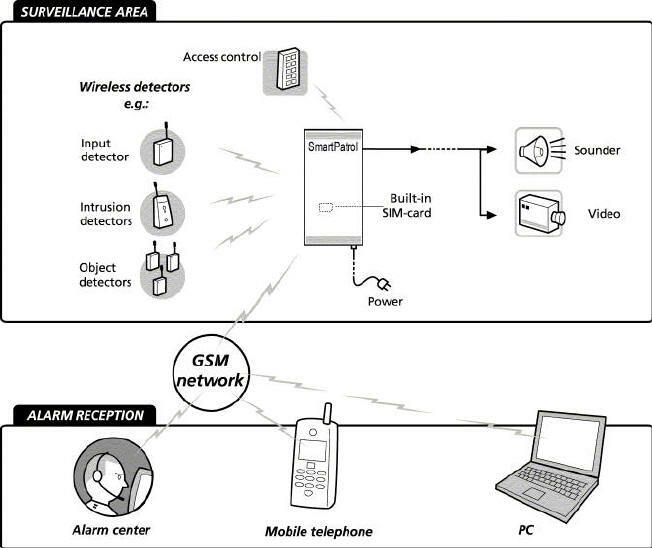 SMS module (extension possibilities): The SmartPatrol system is normally supplemented with a GSM modem. When an alarm is received, the alarm is send via SMS messages, for example, to a mobile phone. The GSM unit is installed in the factory when ordered. To insert a SIM card, press the minute yellow button and a small tray pops out. Check that the GSM modem has connection to the GSM network via the SmartPatrol PC program. UPS (Uninterrupted Power Supply): SmartPatrol can be connected to an UPS power controller. With an UPS power controller the system will function a number of minutes after a power failure. Back Up battery: A rechargeable back up battery is available as an option. On power loss the battery enables the system to send the SMS text messages that the power is down. If you are concerned with one or two sensors being out of range switch SmartPatrol onto "sensors supervision" and if they are out of range you will get a text message. 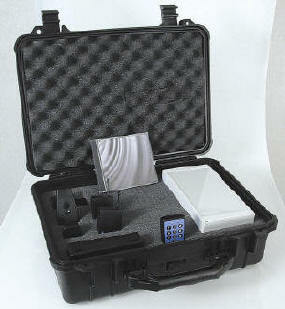 To extend the range covered use the SmartPatrol repeater unit. The software set-up can be done by Euronova. You just monitor the alarm calls and request Euronova to make programming changes.